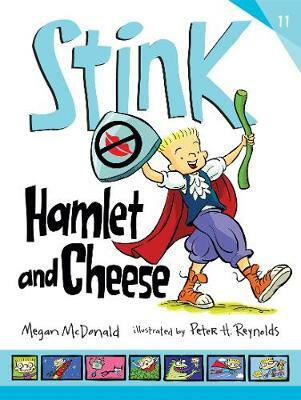 The eleventh book in the internationally popular series about Judy Moody's little brother, sees Stink stepping in to the world of Shakespeare. When Stink learns that there will be sword-play and colourful cursing at Shakespeare camp, he weighs his options. To be or not to be ... a pumpkin-trouser-wearing-poetry-spouting Sprite? OR hang out at home with his sister, Judy Moody? Off to acting lessons Stink trots, only to discover that his nemesis, Riley Rottenberger, is a Sprite, too. What's worse - Stink is the ONLY BOY at camp! Hanged, be!